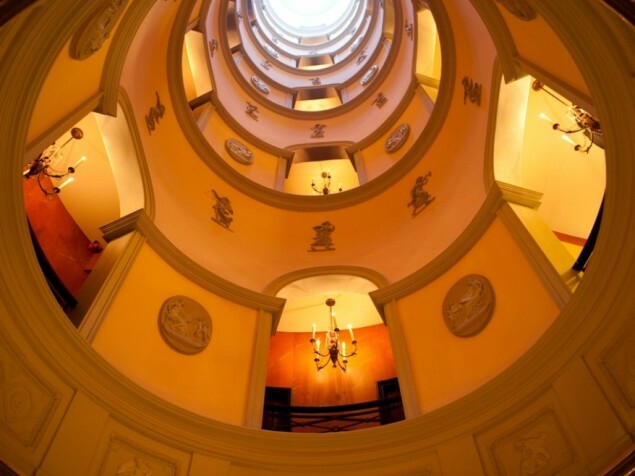 L’Hotel is one very special place to stay in Paris. 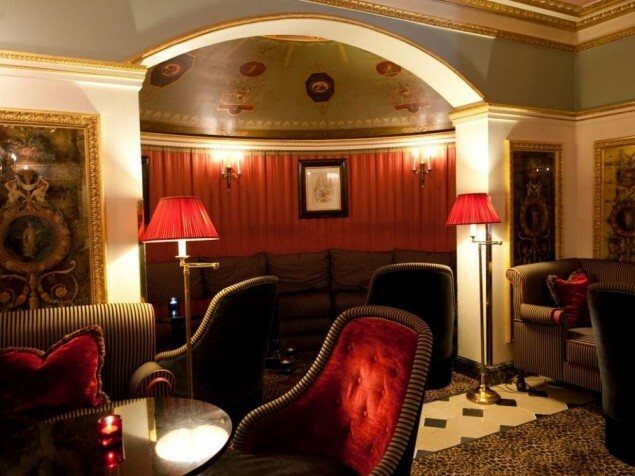 It has a history as a hotel for almost 200 years, along with a legacy of iconic guests. 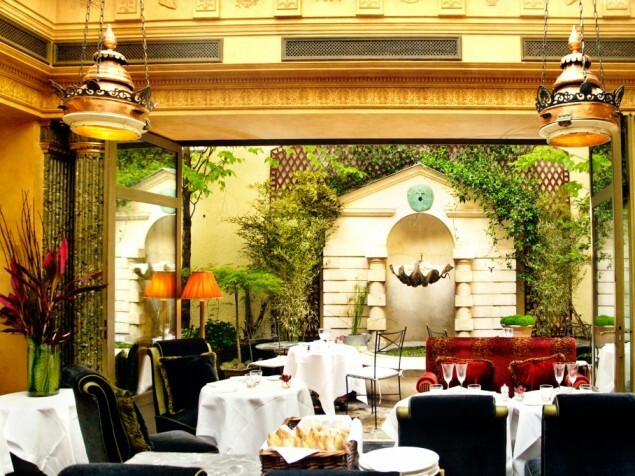 Situated in the colorful district of St. Germain du Pres on the Left Bank, it exudes a sense of history yet is totally au courant with its Michelin restaurant. L’hotel offers the quintessential Parisian experience at an intimate scale, rich in architectural detail and glamorous French interiors. Standing outside the entrance to L’Hotel, it is clear that a remarkable experience awaits. The ornamental ironwork of the entrance door and the original signage reveal the artistry of 19th century Paris and reflect the appeal and charm of the Left Bank. Once inside, you are treated to a visual feast, the focus of which is the central rotunda. The rotunda rises the full height of the building and is covered with a metal and glass skylight. 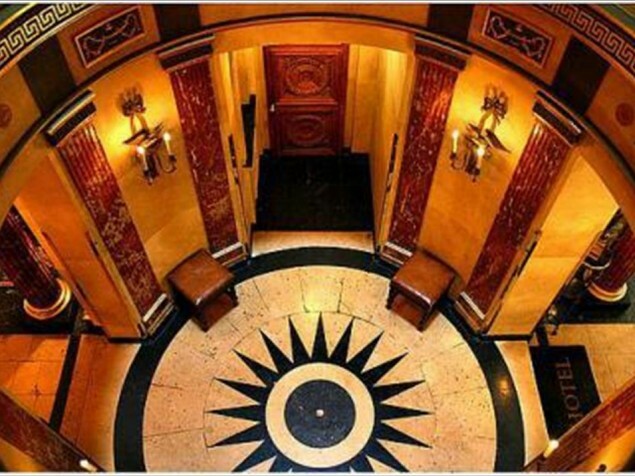 The hallways on each guest floor overlook this absolutely stunning space. The interiors of L’Hotel reveal a delightful combination of chic, French glamour with the exclusive ambiance of a high-society private residence. The designer credited with creating one individually beautiful space after another is Jacques Garcia. L’hotel offers 20 guest rooms and suites and one penthouse apartment. 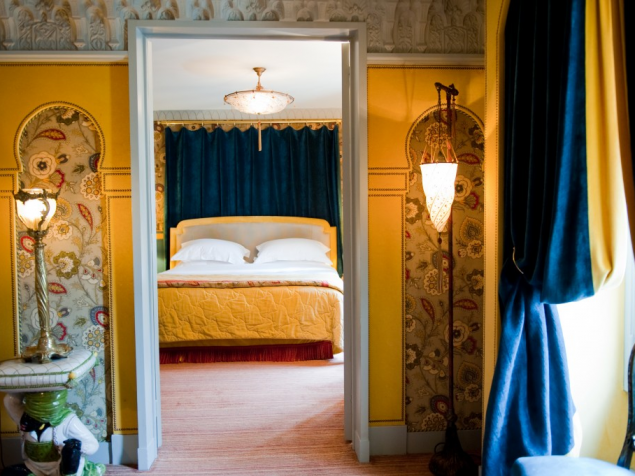 Rooms vary in size and character, and all of them are wonderfully individual and well appointed. It is difficult to choose a room at L’Hotel! A modern, lighter approach to classic French cuisine is featured in the 1 Michelin Star Le Restaurant, created by Head Chef Julien Montbatut. The presentation of Chef Montbabut’s menus are the perfect visual complement to the design of the restaurant. 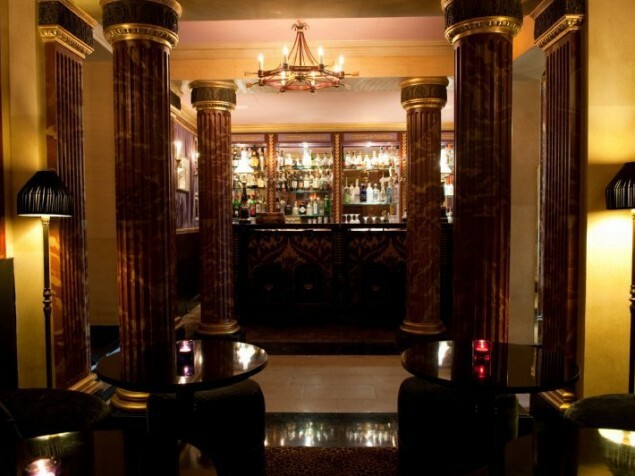 Adjoining Le Restaurant is Le Bar, the haunt of Left Bank locals and, as a guest, the place to be seen. Live entertainment continues the hotel’s long-time tradition of highlighting upcoming talent in contemporary music. This is featured on Monday evenings as well as on other occasions. Within the historic, vaulted stone cellar is a small pool with Hammam (Turkish steam room). 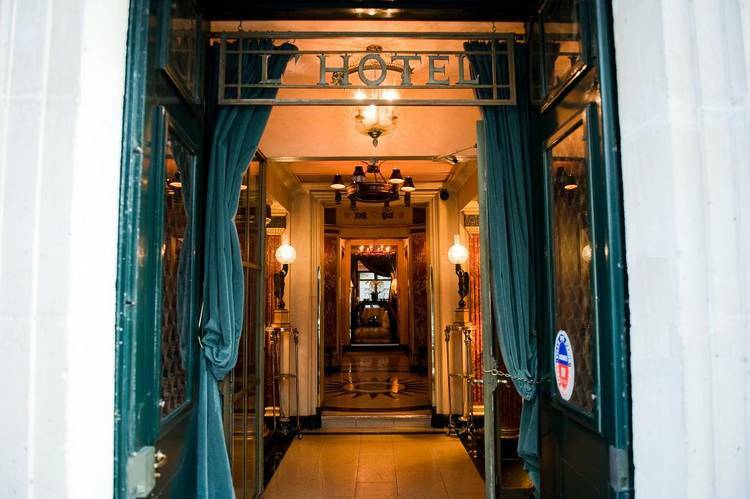 We love everything about L'Hotel — the small scale of this early 19th century residence that is big in detail, the interiors that span many genres but are all intertwined in visual drama, and the inherent personality that can only come from 200 years as a popular Paris haunt.